In this post we will review the 10 Best Digital Marketing Training Providers in Nigeria. These companies provide digital marketing training with certificates. You can enroll with them to improve your knowledge or boost your CV. What is trending now in Nigeria on social media, especially Facebook is digital marketing training adverts. This is because online advertising is rapidly replacing traditional advertising techniques. 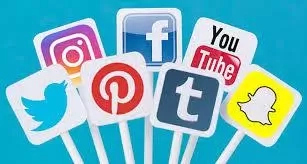 As more Nigerians are joining online platforms to showcase their businesses, online entrepreneurs are seizing the opportunity for training interested individuals, groups and companies marketing teams, who might be novice about how digital marketing works. Professional digital marketers can use digital or online marketing platforms such as the social media to leverage their sales performance. The need of companies to go digital in order to increase their marketing performance and sales leads has given rise to many training providers, whom I painstakingly examine in this article. Before you jump at any of the training providers advertising their services everywhere on social media, note that quacks and fraudsters also seize the moment to dupe innocent Nigerians in the guise of providing training. That is why articles like this is for you who intends to register for a digital marketing training, as I have taken time to research and discuss below the proven and credible digital training providers. I. Choose the training provider that offer more practical courses. II. Go for the training provider that has experts and experienced professionals to handle the courses. IV. Choose where Trainers are there for beginners when need arises. Digital Marketing training prepares you for continual learning throughout your career. It helps you evolve alongside new trends on the net. You learn new skills that improve your brain function. It helps you take control of the future. If you don’t embrace the habit of learning new digital skills, you run the risk of being unable to meet up with crucial industry changes. That means being left behind in this ever-changing world of business. Google is the most reliable and trusted digital marketing training provider, not only in Nigeria, but in the whole world. Google offers notable courses that help marketers and online entrepreneurs to catch up with the challenges emerging from global digital growth and gain advantage of the opportunities that abound there. Adword Fundamentals, Display Advertising, Search Advertising, Analytics, Shopping Advertising, Tools and best practices in digital marketing or ethical code. Many Trainees choose Google because of the free packages they offer and reputation. This indigenous digital marketing training provider parked with a load of experts and professionals is located in Dolphin Estate Ikoyi, Lagos. It is a widely known digital centre founded by Abasiama Idaresit and operates in other African countries such as Ghana and Kenya. Wild Fusion is one of the foremost digital marketing agencies in Africa, that has assisted many local and global brands achieve success in digital marketing platforms. Blessed with brains like Ose Osundeko as the business development manager and overseer of their training programmes, you will have a feel for your money after their training. They offer the following diploma and certificate courses, designed by Digital Marketing Institute, Island: professional diploma in digital marketing, Search Engine Optimization (SEO), Email Marketing, Pay per Click Marketing, Digital Display Advertising, Social Media Marketing (muddles 6 and 7), Mobile Marketing, Web Analytics and Digital Campaign Strategy and Planning. Their courses are highly sought after by employers because they are structured to suit current industry demands. Top professionals and experts, with practical experiences, handle wild Fusion Digital Centre courses. This is another digital marketing training provider with good reputation, founded in 2007 to provide leading edge digital marketing education. Online Marketing Institute stands out in content and digital marketing expertise, hosting hundreds of instructors according to the company’s website, covering every topic in virtually every subject. Online Marketing Institute operates in over 70 cities worldwide. Their programmes include Online Marketing Training Education, In house Training and Workshops, Social Media Training, Web Analytics, Email Marketing, Search Engine Optimization (SEO) Training, Demand Generation Training and On-Demand e-learning. Facebook is the topmost digital marketing training provider after Google. The different I have noticed between facebook and other digital marketing training providers is that facebook makes the experience even easier to pursue. You can participate on standard digital marketing training programmes on facebook just as you do your normal facebooking. Most of the training on facebook platform are free of charge and require no special signups before you can resume training. It is also the most popular digital training platform. Facebook is also the cheapest and one of the most reliable digital marketing training providers on the run. Since people generally like free things, and can undergo the training at their own pace and time, at the comfort of their home, it has won many trainees than any other platform providing digital marketing training. This is a well digital marketing site founded in 2009 by Pradeep Chopra and Kapil Nakra. According to the company’s website, Digital Vidya has organized over 250 training programmes for more than 6000 participants so far. Digital Vidya claims market in its home country, India, as far as the industry is concerned. Programmes at Digital Vidya include top-level Certified Digital Marketing Master (CDMM) courses, Search Engine Optimization (SEO), Search Engine Marketing (SEM), Social Media Marketing (SMM), Email Marketing, Inbound Marketing, Growth Hacking, Web Analytics, and Mobile Marketing. Digital Vidya also engage Trainees on a one-month-research-based internship, online discussion forum and many more incentives. this is another indigenous computer-learning institute located at 5 Babatola Street, off Awolowo Way, Ikeja, Lagos, Nigeria. New Horizon offer courses like Digital Marketing, Adope Multi-media, ICT fundamentals etc. having been on the run for many practical years, they have what it takes to put you through the process of becoming a digital marketing pro in terms of experience and expertise. Their programmes carters for both individuals and groups who wish to reposition themselves and take advantage of the emerging trends in digital marketing and other online business opportunities. CKDigital is one of the topmost existing digital marketing training providers in Nigeria. This academy is located in Lagos and is different from others because they operate mainly on weekends. Courses taught at CKDigital include inbound marketing, Search Engine Optimisation, Mobile Marketing, Email Marketing, Pay per Click (PPC) Marketing etc. Tools Academy provides intensive practical training; existing internship programmes as well as connects their students to employers across industries in Nigeria. Their internship programmes are well-known, because they give their Grandaunts hands-on-the-job experience on how to start a company, since they deal mostly with startup companies. It is a Nigerian academy based in Lagos who’s programmes include Social Media Advertising, Email Marketing, Search Engine Optimisation(SEO) just to mention a few. They have gained mastery over the years in online marketing techniques. Web Academy has extended this experience to training upcoming and existing professionals in the field. Their focus is on making students understand the rudiments of getting international business results even from a local office. They offer the following courses: inbound vs outbound Marketing, International Market Knowledge, Website Solutions, Search Engine Optimisation(SEO) Social Media Marketing , Monitisation, Analysis, Content Marketing, Facebook Marketing etc. Alabian Solutions is an online marketing group that organizes Online Marketing and Digital Advertising courses in practical orientation. Alabian is the free consultation services they offer their Grandaunts and operating midweek and weekend sessions. The courses they offer are not different from what obtains elsewhere. Above list represents the proven Digital Marketing Training Providers you can give a try in Nigeria. Though I arrived at the list through in-depth research on not only the companies’ websites, but largely from Trainee’s and independent reviews, you do yourself more by making necessary consultations before committing your resources. Samuel Udo is a graduate of Political Science. A Creative/Freelance Writer and Public Commentator whose articles have been published in top print media such as 'The Pioneer Newspapers'. InfoGuide Nigeria is a team of Resource Persons and Consultants led by Ifiokobong Roberts. Page maintained by Ifiokobong Roberts. If you need a personal assistance on this topic, kindly contact us.